What was the secret of Abraham Lincoln’s success in dealing with people? Incredibly, this is not just a question that a business journalist would ask. Dale Carnegie himself — the author of How to Win Friends and Influence People — asked the exact same question on page 8 of that famous book. Carnegie was in a unique position to know the answer. Four years before How to Win Friends came out, he authored a book called Lincoln the Unknown, which he spent three years working on. The point is that Carnegie — America’s preeminent expert on networking, arguably the person who first codified networking as a skill — analyzed Lincoln’s life for his people skills. Clearly, this is a stern rebuke. You could even argue that it is personal. But the lesson Carnegie has to offer is a simple one. The lesson is that Lincoln never sent the letter. It was found among his papers after his death. There are three takeaways you can glean from this informed sketch of Lincoln’s thought process. 1. When delivering feedback, think about how it will affect both the recipient and your overall goal. If the ultimate aim of any feedback is to improve employee performance — and therefore, the organization’s performance — than you need to consider whether the timing and the wording of the feedback will accomplish those goals. In Carnegie’s view, Lincoln believed that his feedback to Meade would both “impair” the general’s performance and damage the army’s performance. Therefore, the feedback was not worth delivering to Meade at this juncture. 2. Before you criticize an employee, put yourself in his shoes. Hindsight is 20-20, the cliche goes. Second guessing is always easy. 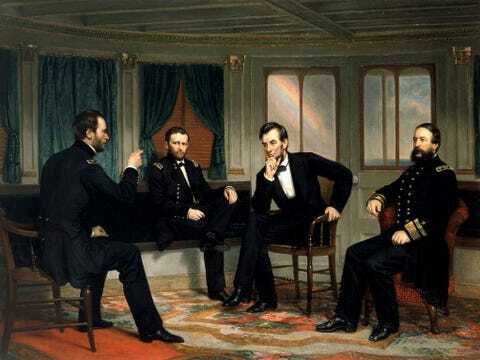 Wrong as Meade was, in Lincoln’s view, Lincoln was aware enough to realize that bullets were flying around Meade — so perhaps he could be forgiven or, at least, understood, if he wasn’t in his right mind on the battlefield. Pressure creates mistakes. If you’ve got feedback for your employees, consider first the pressures they are under to make the decisions they make. 3. If you’re angry about an outcome, give yourself an outlet for venting. Just because Lincoln didn’t send the letter doesn’t mean writing the letter didn’t help. The notion that writing down your frustrations can help you vent is well known. The trick is actually doing it in practice. At the very least, that’s what Lincoln accomplished here. And remember this, too: If you’re upset at an employee, on some level you’re the one to blame. After all, it’s your organization — and perhaps even you, directly — who hired him. This was certainly the case with Lincoln and Meade. If Lincoln didn’t want Meade to make big decisions, Lincoln should’ve relied on another general. Finally, the last thing you want is an employee who is too scared to act, for fear that you will criticize their actions. You’ll end up with an employee who bugs you about every little detail, to prevent your critiques from coming later. It doesn’t mean you should eliminate feedback from your employee-evaluation process. It just means you need to consider how — and when — you do it.